Following the AGM Hundith Hill Hotel provided dinner for the Liberal Democrat members and guests. Phill Roberts (Chair, Copeland and Workington Liberal Democrats) welcomed and introduced Barry Watkinson to the assembled members and guests for a presentation on the current planning and development for the new Nuclear Reactor at the Moorside Site adjacent to Sellafield. 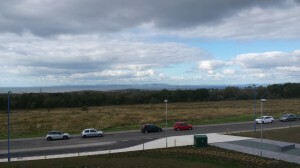 Barry Watkinson informed the audience of the current planning and preparation for the Moorside site that was needed before work could actually start after 2017 including the infrastructure changes to roads leading to both the Sellafield and Moorside sites. 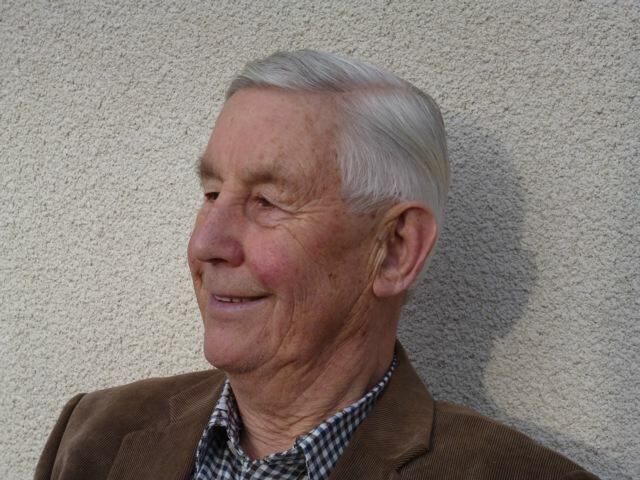 Barry’s vision went beyond current projects and provided an indication of the many possibilities and opportunities for the people of West Cumbria from the development of a National Nuclear Centre of Excellence based on the west coast of Cumbria. He mapped out the considerable additional investment required in education and skills development that would be needed for Cumbria to take full advantage of the opportunities. Following his presentation Barry was able to answer a number of questions from a very knowledgeable audience in regard to the generation of electricity from Nuclear Power including questions on nuclear waste and its safe storage. Although Barry agreed with the Liberal Democrats that Cumbria’s geology may not be the best in the UK for safe storage of Nuclear Waste Barry was of the opinion that an engineering solution could be found to overcome the differences in geology and that any waste should be retrievable in the future. The safe storage of nuclear waste remains a challenge to all and wherever it is stored it must be retrievable. There is now general acceptance that Cumbria’s geology is in its self unsuitable for the development of a GDF and we therefore, as a party, remain opposed to the sitting of a GDF in Cumbria. 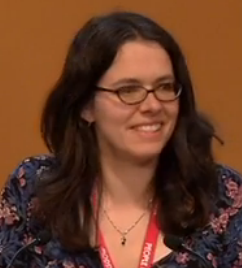 West Cumbrian Liberal Democrat Liberal Democrat Rebecca Hanson continued the fight for sensible reform to Ofsted during the debate on public services in Glasgow this weekend. You can see her contribution here (2:10). This TV footage will be available for 1 month only. The skies have cleared and Scotland is clearly back in view as part of the UK. 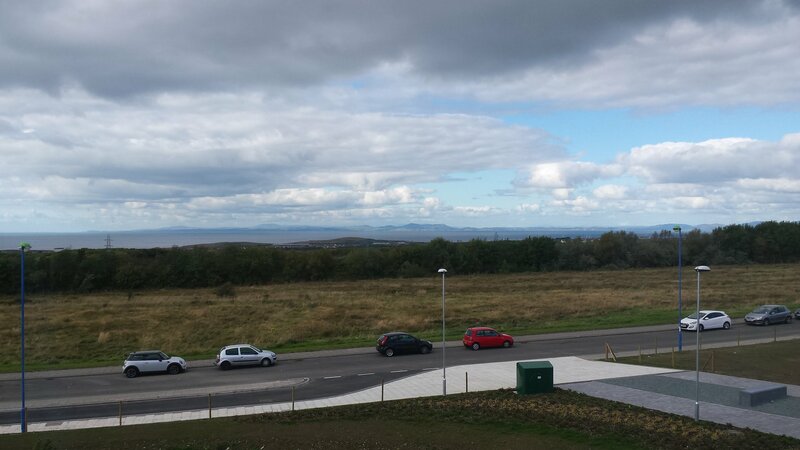 This photo shows the view from a classroom at the new Energy Coast UTC. West Cumbrian Liberal Democrats fought to save the UK through traditional canvassing and through the use of traditional and social media. Rebecca Hanson took to using social medial. You can explore her views on Libdem Voice. Scotland has now voted to remain part of our United Kingdom; however we should not underestimate the depth of feeling that brought us to the brink of Scotland going its own way. A profound distrust of the current political and constitutional structures and our politicians over many years has now become entrenched in public opinion allowing nationalism to take the place of patriotism. That such a sizeable minority of Scots voted Yes should be no surprise. Already, vested interests in the Conservative and Labour parties are conspiring to block and undermine constitutional reform at a time when we should be listening to the call from our communities and regions for devolved powers from Westminster. The call for devolved powers is however not new and some of the arguments for and against continue to be played out at a national and local level. Devolution and the arguments for and against were a major issue within British politics in the mid 1990s resulting in John Prescott, then Deputy Prime Minister, attempting to devolve powers to the regions. This attempt failed when the North East voted emphatically No albeit on a very low poll to the proposals. Will people be any more engaged in the debate following Scotland’s independence vote? Some of the reasons that persuaded people to oppose devolution at the time included the cost of setting up new democratic structures and the possibility of having even more councillors at a time when the credibility of our democratic representatives were at an all time low; a position that has not improved greatly. We certainly do not need more councillors, and constitutional reform should provide us with the opportunity to restructure our councils so that we have unitary authorities and strengthened parish councils. Has Scotland and the Independence Vote refocused our belief in self determination and control over our own circumstances, tax raising, welfare, health, housing and economic development? There is a widespread view that economic growth will only be balanced and sustainable with devolution of key economic powers and functions to our cities and that our cities will then be the drivers of economic growth. However, would devolved powers to our cities and urban areas create further divisions and tensions, as indicated by the disagreements between our local councillors when rehashing old arguments about towns getting more resources than the villages and rural areas? The current ambivalence to involvement in our democratic processes and distrust of our political representation will prove a considerable hurdle to getting the electorate engaged in the debate regarding devolving powers. All people are calling for is a fair system that represents their wishes and feelings, not some system that supports party factional or vested interests. Any model of devolution will be devalued undermined and not trusted unless we can support it with credible democratic structures and systems that people and communities can have confidence in. There is therefore a strong argument that we should return to the call for devolution: an English Parliament and a federal system of governance. However, this time we should also guarantee that we have a fairer voting system where everyone’s vote counts and everyone feels included. Simply giving more powers to English MPs does nothing to empower our local communities and regions. Rebuilding confidence in our democratic systems and representation can only be achieved with an open and transparent process of devolving powers from Westminster that ensures Localism meets the needs of all in our communities and is not simply another “buzzword”. I watched the news from Scotland last Friday with a profound sense of relief. Had Scotland chosen to secede from the UK my feeling would have been one of deep bereavement. I know that many others in Cumbria would have shared this sentiment. Scotland has been a part of my life for as long as I can remember. I value the long alliance between England and this nation which has given so much to the UK in philosophy, literature, science, engineering and sport, whilst maintaining its own unique and separate culture. However the Scottish ‘YES’ campaign highlighted many issues which have been building for far too long. It is clear that too many people are alienated from the political process as it operates at present. There is scepticism about the motives of politicians, frustration at the lack of attention paid to the needs of those living far from Westminster, a sense that democracy is not working as it should. This results in steadily decreasing turnout at elections, which then creates openings for sinister political forces hostile to an open, pluralist society. It is my hope that the remarkable campaign we have just witnessed in Scotland will force a genuine re-examination of our governance arrangements across the UK. I believe we need a comprehensive review of our present system of government by a broadly-based Constitutional Convention, rather than a rushed, inadequate process as proposed by the Prime Minister. This Convention should represent the wider communities and interests of the country, and not simply the narrow political elite. Liberal Democrats have long called for such changes. We must extend power beyond Westminster to the vibrant communities of the north, the midlands and the south-west. Great cities such as Carlisle, Newcastle, Birmingham and Bristol need greater autonomy to serve their people and their regions. And in my view the only way to overcome the democratic imbalance which exists (whereby Scottish MPs can vote on all English matters, yet English MPs are powerless to influence most Scottish legislation) is by creating a new legislature – an English Parliament – based ideally in Manchester or Leeds. The UK federal legislature would remain at Westminster, supported by an entirely new Senate, representing all UK nations and regions, replacing the anachronism which is the House of Lords. This will cost money, but it will be money well spent. At the same time we must improve our inadequate system of local government – and save money – by replacing the remaining district councils with single-tier local government authorities elected by a proportional system, whilst strengthening the influence of parish and town councils. And then maybe, just maybe, we could build a culture of co-operation rather than conflict among our politicians. Liberal democrats are committed to fighting for a fairer stronger economy and this includes addressing massive inequalities in our financial, health and education systems. Income inequality is a disaster for everyone in society and there is evidence that we have become a low paid bargain basement economy over the past decade. Liberal democrats are therefore taking steps to rebalance the economy when they can get the legislation past the conservatives! Liberal Democrats in government have ensured that the tax threshold has been increased to £10,000 lifting 2million low earners from paying tax completely and giving a sizable tax cut to another 22million putting up to £800 back in peoples pockets however there remains much to be done to ensure that we are “all in this together”! A society that gives huge pay rises to bankers and executives whilst freezing real wages for lower paid people is simply unfair and unjust. I would therefore urge people, as many Liberal Democrats already do, to support the campaign for a living wage. Liberal democrats have also ensured that children between the ages of 5 and 7 will benefit from free Schools meals from September 2014 saving families up to £430 per child. Liberal Democrats have already made it possible for all 3 and 4 year old children in Cumbria, and throughout the country, to have up to 15hrs free education, in addition the £2.5 Billion Pupil premium has helped those children who need extra support in school. School leavers are benefiting from the creation of 1.8 million apprenticeships since 2010. Many Liberal Democrats, including Tim Farron, are also fighting to review and scrap the spare room subsidy, known as the bedroom tax. Clearly we need a National Housing Policy that addresses the needs of local communities. There are many other areas where the Liberal Democrats in government are working on the behalf of communities to ensure a fairer stronger society, come and join us! and please do feel warmly invited to join local Libdems and others at the Fair Cumbria meeting at Keswick Quaker Meeting House 7:30 pm Tuesday 15th July 2014. It was a bold innovation when this newspaper invited weekly contributions from members of the main political parties. I think these have all been of interest. Writers have not simply trotted out the political dogma of their own parties, but have reflected on what matters to them as individuals and what they personally consider important issues for our local community. Indeed I often find myself agreeing with the views of contributors from other parties. What is it that drives people to become politically active; to support a particular political tribe? Political involvement seems to many to be a strange, even bizarre way of spending one’s time. Politics is seen by some as corrupt or self-serving, and politicans are denigrated for incompetence or dishonesty. Yet the truth is that political activity is an inevitable and necessary part of life; without it, our society would collapse into anarchy. I myself fell into this world almost by chance. Frustrated by the dogmatism of Thatcherism and appalled by the antics of the ‘loony left’ I welcomed the emergence in 1988 of a new third force, with a belief in sensible, moderated market realism allied with a strong sense of social responsibility and a powerful green and internationalist ethic. I joined the Liberal Democrats and to my surprise soon found myself a parliamentary candidate both for Westminster and for Europe. From these experiences I learned some valuable lessons. First, I discovered that the goals of most politicians are much the same. We aspire to similar ends, even if the means of achieving them differ. Unfortunately, our present system highlights the differences rather than the areas of agreement. Most politicians enter this much-disparaged field with ideals, to change society for the better. Perhaps if the Westminster parties could learn to work together wherever possible we might make more progress in doing so. The broadcast yah-boo nonsense of PM questions stands in stark contrast to the constructive work of the all-party select committees. Secondly, every political party is a collection of individuals with differing ideas and priorities. These parties are not simply of one mind; they are ‘broad churches’ in which people have to listen to each other and to compromise. 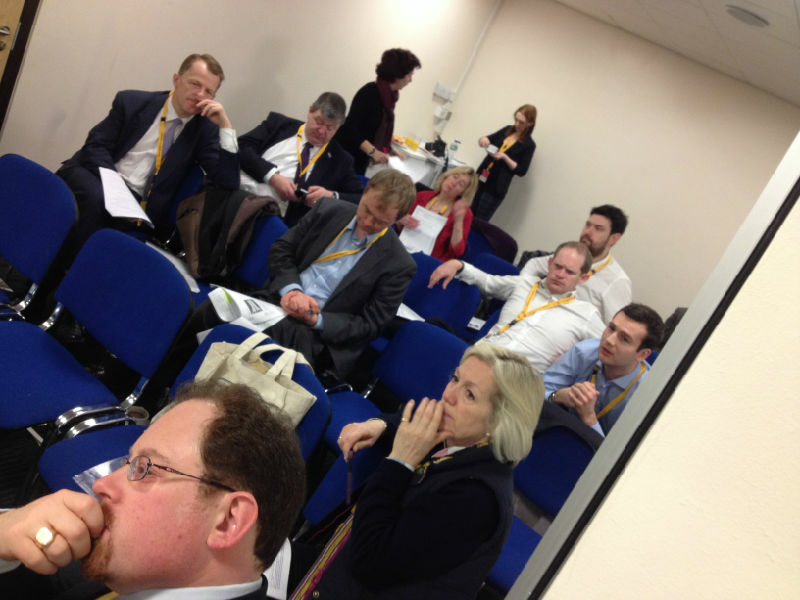 One of the special features of the Lib Dems is that policy-making is done in open discussion at conference or in special consultations. Members are actively encouraged to express their own ideas. Thirdly, democracy, with individual entitlement to vote, remains the best system on offer, despite its imperfections. If you don’t believe this, if you are cynical about our political democracy and your ability to influence events, then show me a better system. My own advice to people as we approach the election period is: take part; be heard; make your opinion count; and play an active, positive part in the political process. We will all be the losers if you do not! 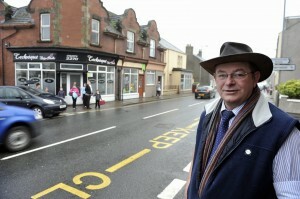 What has Chris Davies MEP done for West Cumbria? Here’s just a quick insight into some of Chris’ work for West Cumbria in the last 18 months. 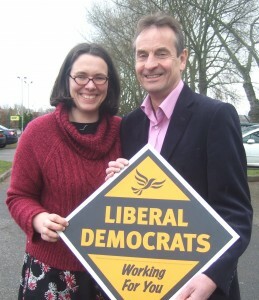 Chris Davies MEP with Rebecca Hanson, a West Cumbrian campaigner on education policy who he has supported and inspired. 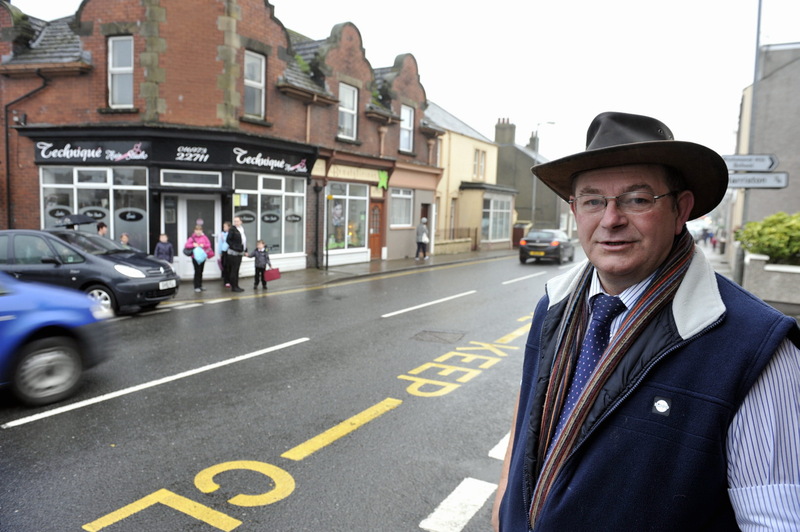 In November 2012 Chris Davies MEP ran a major event on environmental issues in Cockermouth. Key people from many organisations with responsibility for our environment attended together with secondary school students from across West Cumbria. Chris listened to local experts who told them about how they’d like environmental policy to develop in coming years. Chris’ work on reform to the fisheries policy was top of the agenda as it will impact positively on many local businesses. Here is a link to a Times & Star picture of Chris chatting to Cockermouth School students taken at the event. Chris visited the National Nuclear Laboratory to better understand their needs, included their desire to be able to attend more European committees so they can take advantage of these expert knowledge bases. Chris and the Liberal Democrats support the next generation of Nuclear Power due to the substantial threat to climate change posed by the alternatives. 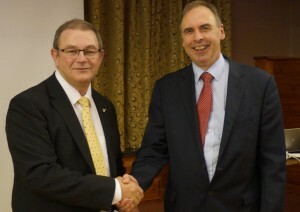 Chris Davies MEP with West Cumbrian Liberal Democrats and Directors at the National Nuclear Laboratory. Chris accepted an invitation to meet students at Keswick School. The report by Heather Dempsey (a current Keswick School student who met Chris) can be found here. Keswick mountain rescue have encouraged Chris to campaign for European tax laws to be reformed so that they are taxed as an emergency service. Chris’ campaign for this reform has recently been successful. Chris also met with representatives of Sustainable Keswick. Key people at Energus were concerned about the potentially damaging effects of Conservative proposals to change the funding of apprenticeships. They are now working with Liberal Democrat MPs to constructively challenge these reforms. 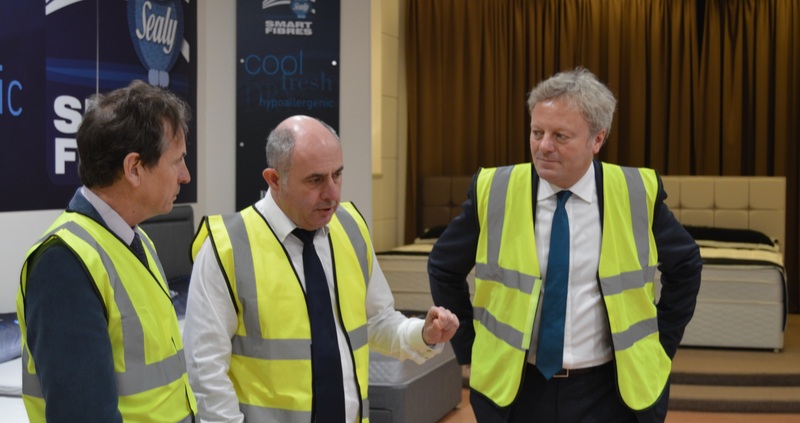 At Sealy Chris discussed the European policies which are helping the campaign against counterfeit goods which undermine reputable brands such as Sealy. Chris Davies MEP with directors of Sealy UK. Chris covers the whole of the North West of England. West Cumbria is just one third of one county. He works this hard everywhere. He also attends over 90% of sessions in the European Parliament. 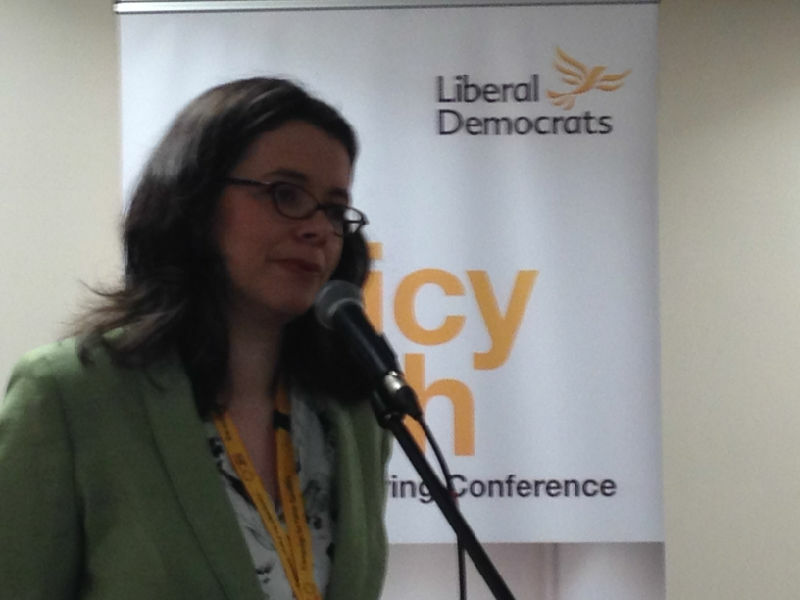 Rebecca Hanson has reported that her journey into the ‘Dragon’s Den for Policy’ at the Liberal Democrats spring conference was “everything she hoped it would be”. “I had 3 minutes to speak and then 7 minutes for intensive questions” said Hanson. Other dragons included Julian Huppert MP (front), Tessa Munt MP, Lorely Burt MP, Jeremy Brown MP and Simon Wright MP (PPS to Nick Clegg). Hanson has been promised feedback soon but it seems the final contents of the 2015 manifesto won’t be revealed for a while yet. “Most of our modern regulators were set up rapidly in the 1980s and 1990s. By the time they’d been operating for a decade or so the strengths and weaknesses of each were apparent. Rather than trying to address the issues with each regulator individually, in 2005 the then government commissioned a holistic review of all regulation. Its findings went on to become the foundations of the regulators code of best practice. I am proposing that we apply the standards for regulation defined in the regulators code, which are now well established in the private and charitable sectors, to the state sector and in particular to education, children services and healthcare. This policy would prevent inappropriate political interference in the activity of our regulators. It end the use of special measures in cases where more targeted action would be sufficient. It would require regulators to clearly define what is and isn’t acceptable practice and the idea that ‘satisfactory is the new unsatisfactory’ would be consigned to the dustbin of history where studies on good practice in regulation show it belongs. This policy, in its earlier forms, has the unanimous support of the northwest region and is also supported by the education association committee who have put it forward for consideration today. I’ve submitted it to federal conference and have received very positive feedback with the only reason given for it not going forward being that it wouldn’t generate controversy in debate as it was expected that all liberal democrats would support it. But this policy needs explicit support as it will not happen by accident. It will require the attention of a government over a parliamentary term. Although the relevant law was created in 2006 it wasn’t until the end of 2009 that most regulatory activity was subject to this legal framework as regulators needed time, consistent policy and coherent oversight to adapt their practice. Unless there is coherent progress towards high quality and defensible regulation in the public sector the government will always be on the back foot when dealing with the justifiable complaints about the failings of Ofsted and the CQC, and we know from experience that ministers who do not have well grounded policy in place respond with powerful, knee-jerk actions which put more draconian and unaccountable power into the hands of people far from the front line. This is exactly the kind of policy which clearly defines our identity as liberal democrats because it is an essential component of our desire to ensure that intelligent and responsible professionals all sectors of society are allowed the levels of professional freedom they need to function effectively. 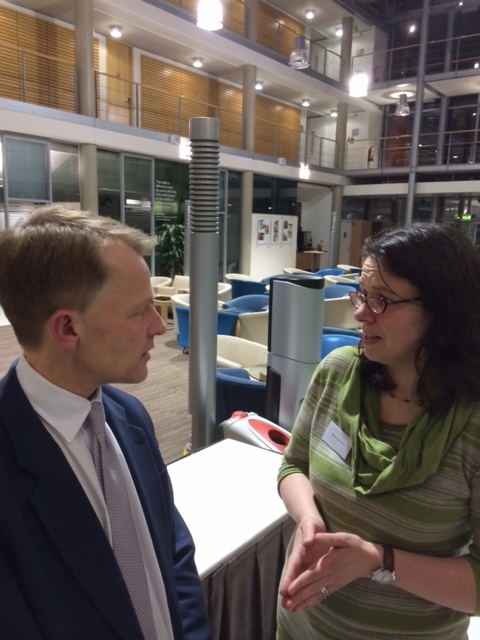 Rebecca Hanson explaining the policy for public sector reform to David Laws MP (Minister of State for Schools) at the National College for Teaching and Learning.